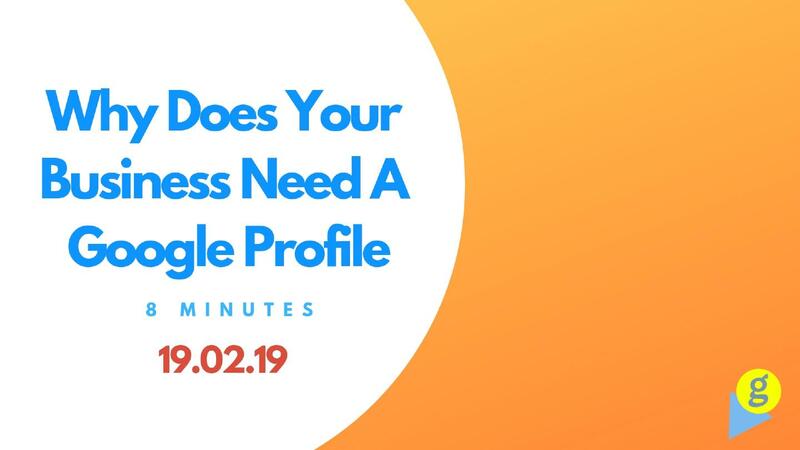 This post will explore how a Google MyBusiness profile helps many businesses get discovered by potential customers, how to edit your profile to optimise it and when exactly you should update your MyBusiness profile. Google is (by far) the most popular search engine but profiles directories on Yahoo, Yelp, Bing and many other search engines should also be maintained as a best-practice. If you were attempting to establish a new business - where would you set it up? Would you choose a location away from the main high street? Perhaps tucked behind an empty warehouse in an unpronounceable village? You wouldn’t, would you? Online businesses are no different to physical - you want to be seen, you need to be where people are; and today, people are online using search engines. In fact, 84% of consumers use their computer or tablet to search for local businesses online and 88% use their smartphone. In order to get your business discovered quickly and easily, you’ve got to make sure it’s visible from many different angles, from many different routes and clearly presented so, at a glance, your potential customer knows what your products do and which service is right for them. According to the same study above, 34% of consumer who find a business through a local search on their computer or tablet end up at its physical location and the rate is even higher (50%) for those who search on mobile phones. Subsequently, 18% of local searches lead to a purchase within a day, versus only 7% of non-local searches. This means that the easier your business is to discover online, the more likely that a customer will make a purchase within a day of searching for your business. 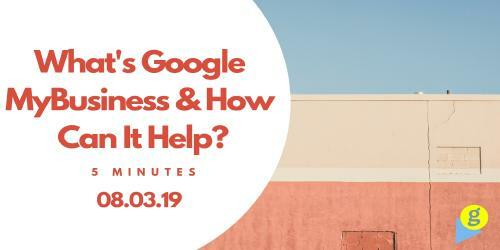 The data shows that something as simple and easy to set up like a Google MyBusiness profile can increase traffic to your store and boost sales. Many people are intimidated by SEO (Search Engine Optimisation) but SEO can be done in bite-sized pieces. One of the simplest ways to improve your website’s SEO is to update and maintain your Google listing. Google operates online bots which are responsible for crawling the internet for updated information in order to provide the most accurate and relevant search results. Google’s invested billions of pounds into its algorithms to enable it to search across the web and obtain as much information as possible on any particular business. The more places your business is listed, the easier it is for these bots to find your business and the more likely it is that your business will show up in search results. Search engines are not the only tool people will use to find the products and services they need. There are thousands of applications and directories and services out there which are specifically directing people to the right destination for them. However, these applications and directories build their database by crawling the web and rely on search engines to gather this information, such as Google and Bing. As a direct result, many of the listings of these smaller but commonly used directories contain information that has tricked down through Google business listings. Updating your Google MyBusiness profile will ensure these also have access to your business information and reflect it in their services and results, assuring that your business is shown in other places outside of Google native search results. Just as Google business listings can help your business, an inaccurate or incomplete listing can hurt your business, so it’s hugely important to update your Google listing - as well as your other listings to ensure all information is the same. Updating your Google listing couldn’t be easier. Using Google MyBusiness, which offers step-by-step instructions on their site, you can spend an hour or so updating your business details. The basic components of your Google MyBusiness listing are name, address, and phone number. More specifics on a good google listing update are as follows but can be applied to most (if not all) online directories. Online listings which are inaccurate are far too common and introduce problems for bots to correctly catalogue your business. It is just as important to update your business listing when moving to a different floor or suite within the same building, as it is when you’re moving to a different county. Supply as much information as possible to help those attempting to find your business or services. The more complete picture you can paint for search engines, the better your business can be represented online. Remove as many barriers to entry as possible by presenting the most accurate information in your Google business listing. As highlighted above, Google crawls the internet for accurate information from an unlimited number of sources. The more consistent your business listings are, the higher your website will rank on Google’s search results. The importance of consistency in your online business listing cannot be stressed enough. Although search engines are robust, a simple typo in a business name may be enough to throw a search engine off-track. With the hundreds of databases, apps and search engines out there, one small error can compound and cause invalid results in hundreds of different directories and apps. Be sure to make every bit of the information about your business identical - right down to the use of apostrophes or how you spell street. Google MyBusiness, like many directory listings and sites, will allow you to upload a logo. A logo adds a nice visual element to your profile and a professional look to your business but it should never replace text in online listings. Text is what enables people and search engines to search for you and find your business. There are a number of situations which demand an update or edit to your Google MyBusiness listing. To avoid a loss of existing customers and to promote the increase of new customers, update your Google business listing as soon as you move or relocate. If you’re moving the location of your business, word of mouth will inform some, but not all. Updating your Google MyBusiness listing will announce it to the world - in addition to announcing the changes on social media platforms. Existing customers and community members may be aware of your new location but what about future customers and community members? They won’t know to visit your old location to find your new location. You don’t even exist to these ones yet! This is why it’s crucial to update your business listing with any and all changes to your information as soon as possible. Even the smallest changes need to be reported, such as to a different suite or floor within the same building. Accuracy.Is.King. As previously highlighted, even if you have only input your company listing information in one source, there is a high chance that it will reach other sources crawling the web. 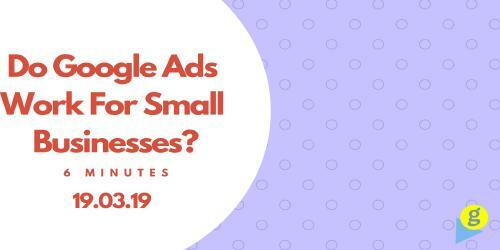 To find out where and how you’re showing up, perform a Google search for your business. Where does your business show up? Does it show up? If so, super! Make a list of the various places your business is listed and how accurate the information is that is displayed. Update your Google business profile to five any noticeable errors or differences compared to the list you’ve just made. This may take time, but it is well worth the investment. This is because people are either unaware of or forgetful to the fact that you are not the only one supplying your contact information - if the information is inaccurate or incomplete, they will attribute it to deficiencies or incompetencies on your part. Search Engines are constantly on the hunt for the most relevant and accurate information on your business. If you don’t have a website (you should get one), Google will search for information on your business elsewhere, which, as already mentioned, can be inconsistent and inaccurate. if you don’t have a strong online presence, Google cannot rank you on their search engines results page. Don’t make life hard for Google; make it as simple as possible. Give it your information, so it doesn’t have to crawl harder to find it. If you don’t, it may start showing incorrect information which makes it difficult for customers to trust you. Business names that don’t have the name of their services in the title can sometimes have a harder time reaching and acquiring customers. if it isn’t obvious what you do from your business name, then consider updating your Google business listing with categories. For example, the name “Donalds Hot Dog Van” makes it clear that the business provides hot dogs. On the other hand, a business called ‘Happy Snappy” could be a dog walking service, photographer or clown! Use categories in Google MyBusiness to update your business’s industry and service-specific category. If potential customers don’t have an immediate idea of what your business does when they find it, they will pass you by. Categories are crucial to ensure both search engines and customers know what you do and is a simple indicator that’s used by most directories. Having a Google MyBusiness listing will do nothing to benefit your business unless it’s accurate, consistent and up-to-date. Do a good job of getting your business on these directories and you’ll be found by potential customers. 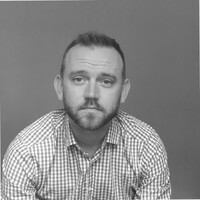 Do a poor job and you may never be connected with potential customers. More accurate information online means growth for your business and more happy customers!